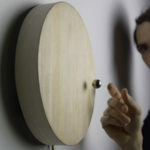 Created by Quinten Peuling and Wisse Trooster of qoowl are the Hand of Time clocks that are made using a worn sanding disk. 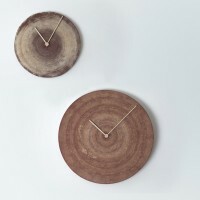 The clocks will be on display for the first time at a design and craft event called Meesterlijk in Amsterdam from November 29th till December 1st. 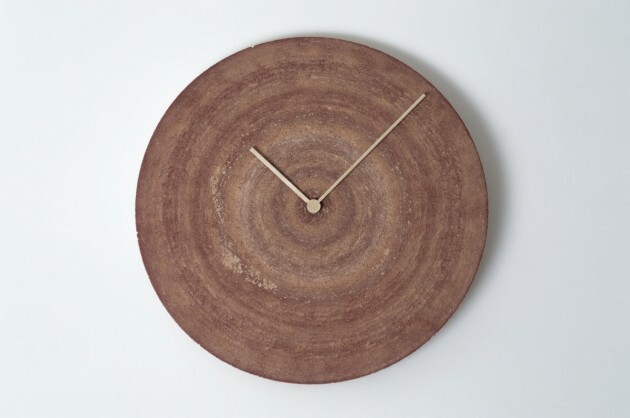 The clock-face is made of a worn sanding disc. 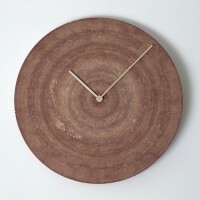 Through the wear of the sanding disc the clock is telling the story of a craftsman. 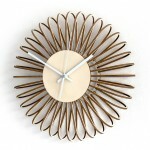 Time, the materials used and the way of working are all of influence on the appearance of the clock. 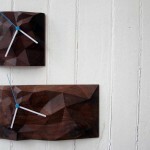 Each clock is a unique piece. 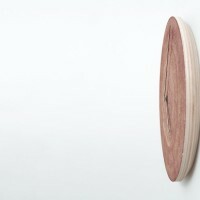 The relation between the sanding disc and the timber entered a new period. Over time the timber lost the battle, now they go together in harmony. 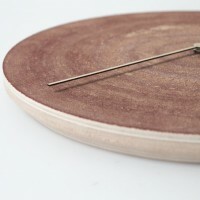 The wooden base of the clock and the wooden hands are complementary to the disc. From now on only time will wear out. 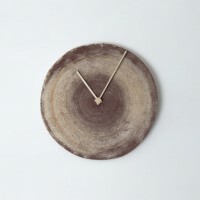 Between other discarded tools the designers of qoowl found an old sanding disc. 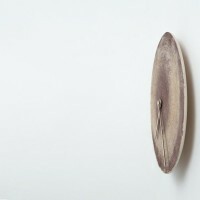 On the disc a specific pattern had been created by intensive usage. 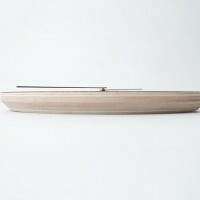 This raised the following questions: Which craftsman used the disc and what did he create? 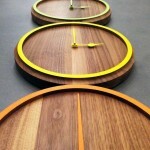 Sanding discs of qoowl and other craftsman are transformed into clocks. 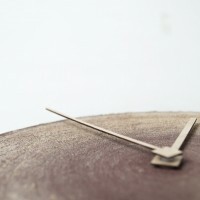 The stories of the discs are brought to their new owners, the ones who bought a clock.